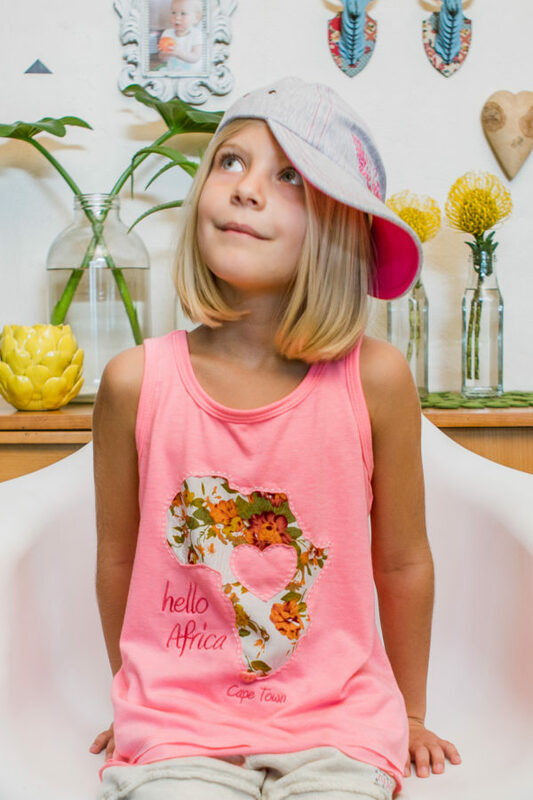 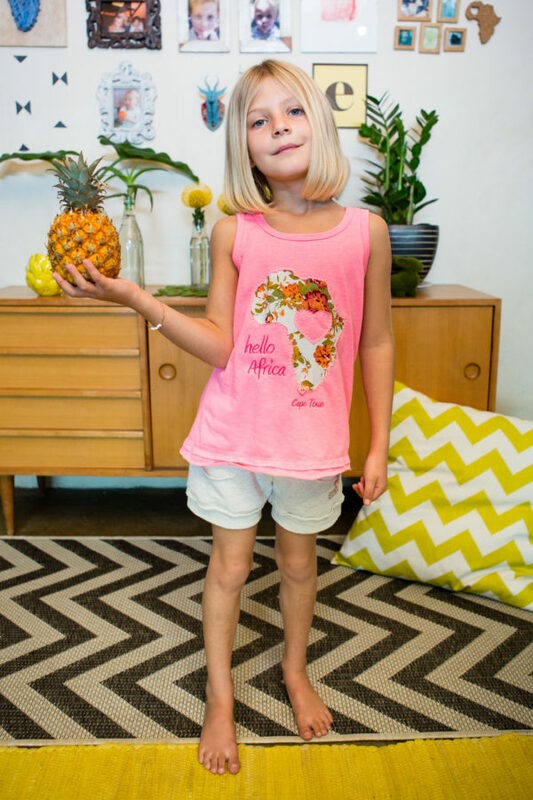 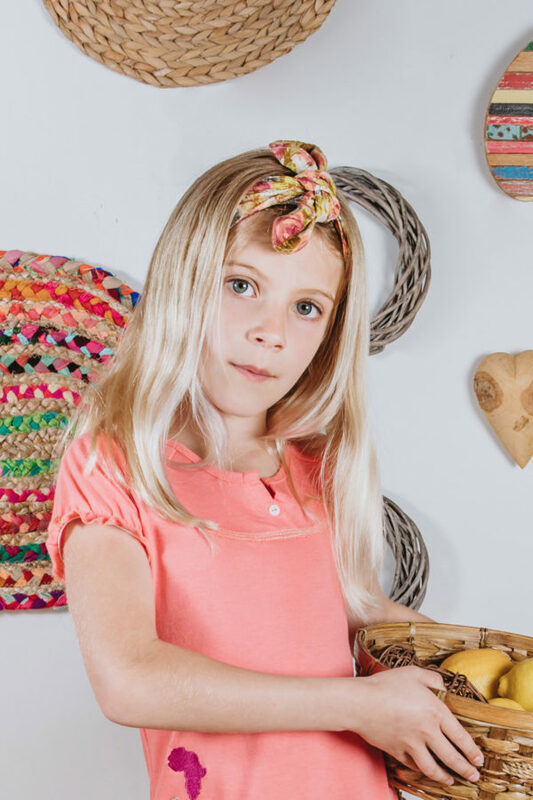 Hello Summer, hello Africa : ) Our 100% cotton vests are back, with the “hello Africa” embroidery applique, with a floral background. 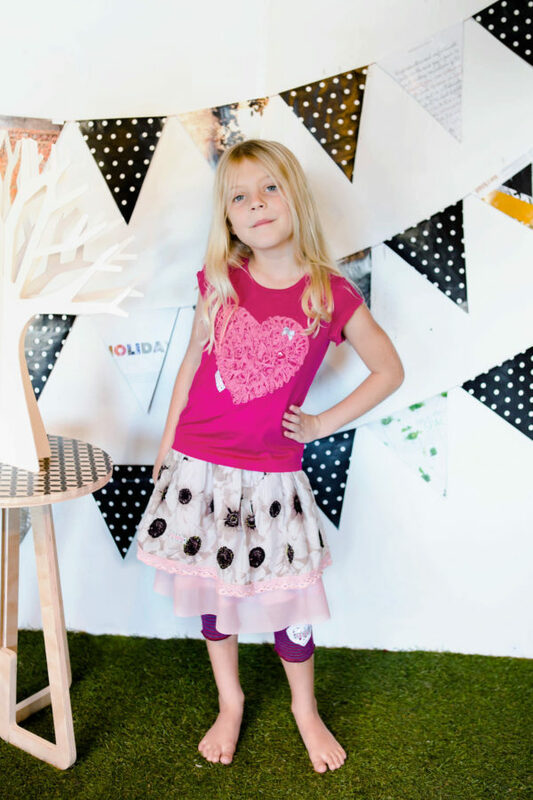 Pair off the vest with our shorts or leggings. 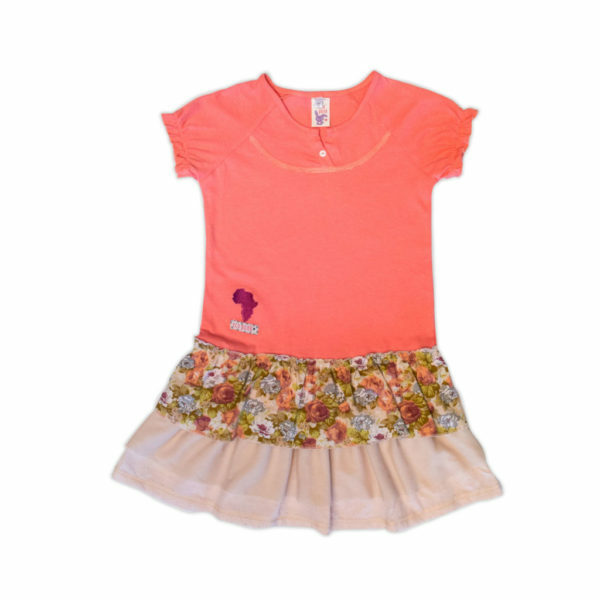 Available in Lunar Pink and Sky Blue.